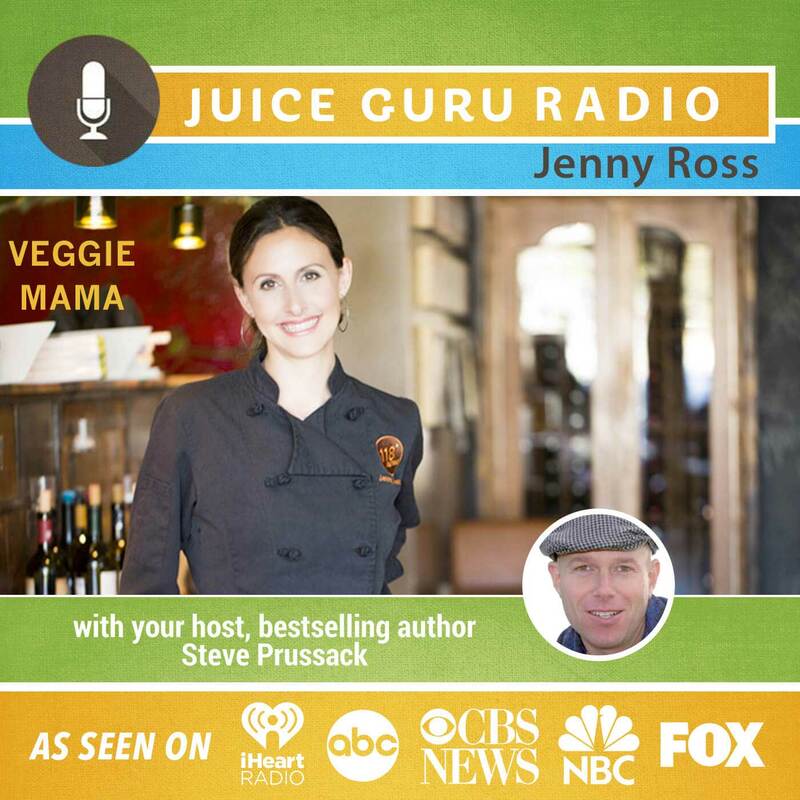 Who: Jenny Ross -the owner and executive chef of the living-foods restaurant 118 Degrees Los Angeles in Tarzana, California, has been a pioneering spirit of the raw-foods movement since 2000, beginning with her first Los Angeles café. She is the author of the upcoming Veggie Mama: A Fun, Wholesome Guide to Feeding Your Kids Tasty Plant-Based Meals and previously published Healing with Raw Foods, Raw Basics, Simple Dehydrated and The Art of Raw Living Foods. Her award-winning cuisine has drawn a celebrity clientele to her restaurants and has been a positive catalyst for changing many lives. What We Talked About: Jenny shared the incredible benefits she and her clients have experienced following a high raw food diet. We also discussed her upcoming book (co-authored with Doreen Virtue) “Veggie Mama” and tips to get kids to eat more healthy plant-based foods. Jenny also touched on how to achieve an easy and painless pregnancy..
Why I Like Jenny: Jenny is one of the leading pioneers in the raw food movement. She is radiant, articulate and inspirational, which is why she inspires so many people. I have known Jenny since my own health journey began and she motivates me to this day. Great Line: Getting kids to eat healthy plant-based foods is the next step for the planet. The next generations needs the support of a really vibrant diet. The time is now to move into this.